I love finding new designers and Velocity’s Little Monsters Strapless Mini Dresses show imagination, fun, and color!!! The collection consists of 4 mini mesh dresses. The dresses are aptly named..lol Each has a particular monster that brings a colorful presence to the dress. There is Fur Ball, Monster Ball, Lambs Fly, and Red Emperor. The dresses are only 100L each or the fat pack for only 350L for all four. They are unique and will definitely be noticed when you wear them! The designs are whimsical, funky, upbeat, and will bring a smile to your face. They can be paired with leggings, jackets, sweaters or just worn as is for an artsy avant-garde look. They are so cute!!! I look forward to this new dress designer future creations! Among the new releases for TorMe Designs for this month are her new Retro Minis! Her designs are reminiscent of a much simpler time when we wore super cute minis, pushed our hair back with a hair band and put on our go-go boots and we were FABULOUS! These retro prints are so groovy….you have 5 to choose from or just buy all….Black and White, Brown Circle, Magenta Circle, Purple Circle and Swirls Retro Minis mesh dresses . These are so amazing! The Retro Trend is going strong both in real life and here in Second Life. Tally has done great job with these! They are very well made and the graphics prints are so happening man! Get your groove on and make your way on over to TorMe. Check her out as she has amazing clothes and great prices!! Peace Out! Dont you just love seeing new releases? Well…Kaerri has introduce today the Boo Set! 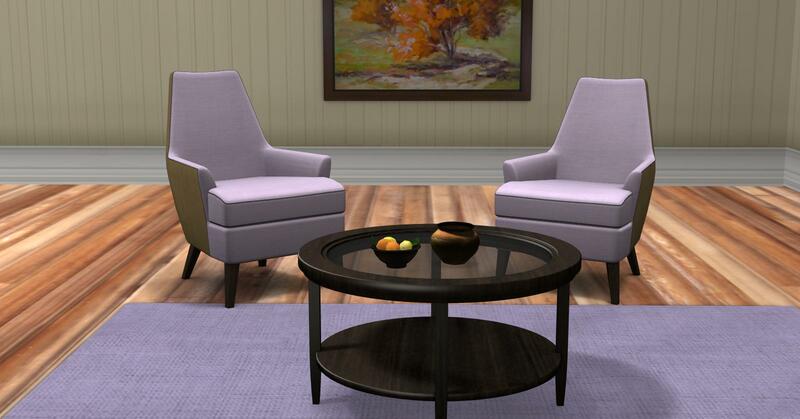 it’s a modern set that combines brown and lilac hues. The set is kicking! The room is complete…all you have to do is arrange the furniture! The Brown Boo Goetz Couch has an accent pillow that a graphic design of rusty orange, black, and white. The couch itself is a warm brown and has a 7 pose menu. There are 2 round brown tables..side and the coffee tables. The touch lamp is in a complimentary tanish sand color. Love that shape! 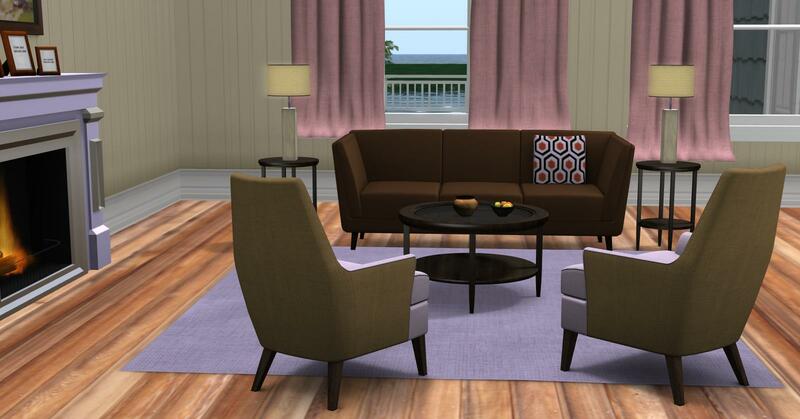 The accent chairs are lilac with a brown back and seat cover pipe trimmed in gray with a 7 pose menu as well. The woven area rug is also a shade of lilac. i just love this color scheme. This awesome set also comes with a detailed fireplace! 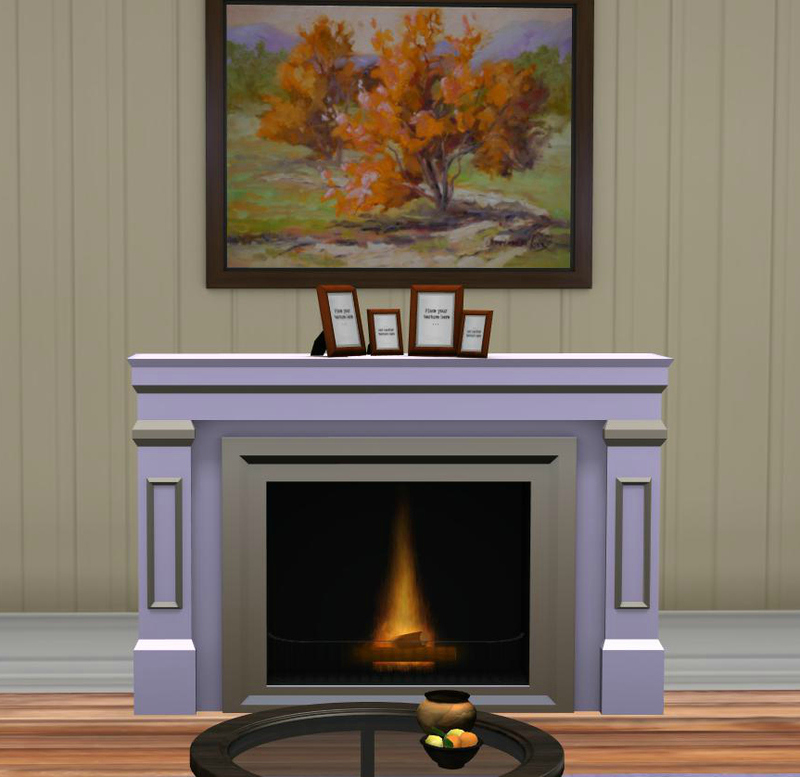 A fireplace adds so much to the ambience of a room and makes the set that much more amazing! 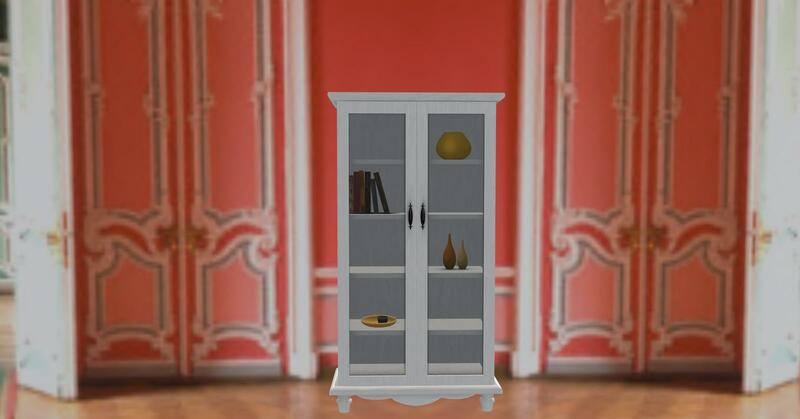 Also included for accessories are picture frames for you place your favorite people in, fruit bowl, a decorative bowl, a mantle picture, and curtains! A complete gorgeous room of furniture! Why not stop by Kaerri today and see this and all of her fantastic furnishngs..you will not be disappointed in the excellent degree of workmanship, design or price! 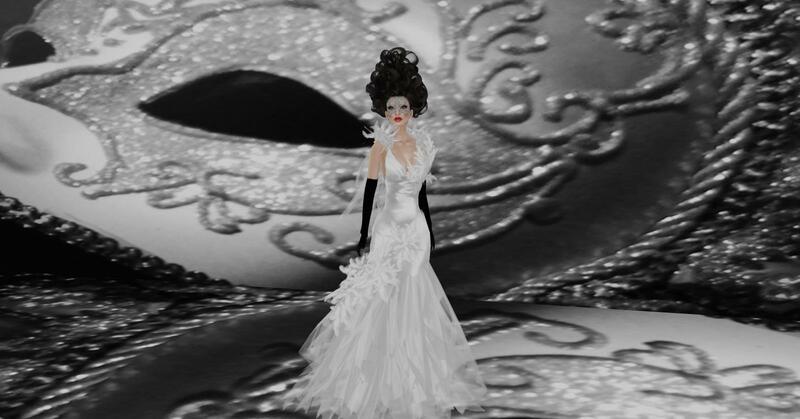 As she stands before the picture, Waiting for the Masquerade, of course, gorgeously masked, she thinks to herself why does she hide behind the mask and wonders what will people think she was hiding? Was she concealing an ugliness or a beauty, a brain or empty head? Why do we mask ourselves, why do we hide? This years gowns from the Miss Virtual World 2013 was one gown gasm after another! One that has made my favorite list was the exquisite gown of Miss USA, Imani Enzo. The gown was a walking dream! I have the gown in Pearl, but is available in several colors. The feathery attachments at the top of the shoulders have trailing wisps of chiffon that billows behind. The feathers continue on an angle down the front from below the stomach unto just below the lower leg of the skirt. You appear to be walking upon a cloud of chiffon. The gown is utterly feminine and showcases a woman the way she should be! New from Kaerri this month is the Winston Dining Set. 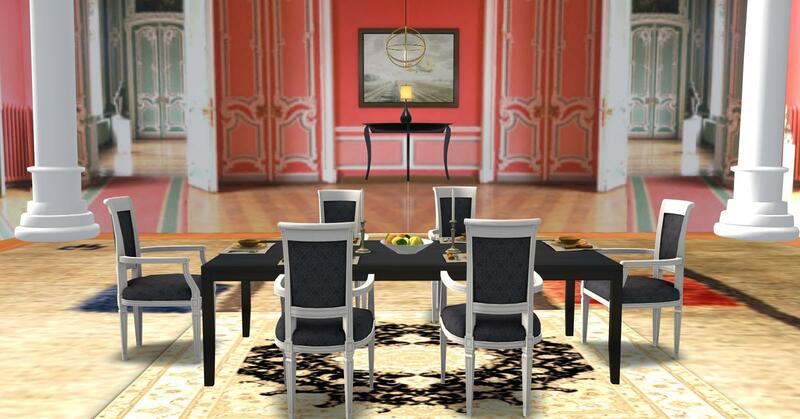 It’s a beautiful modern set with a square long black table and black brocade patterned chair seats encased within a white modern baroque styled chair frame. 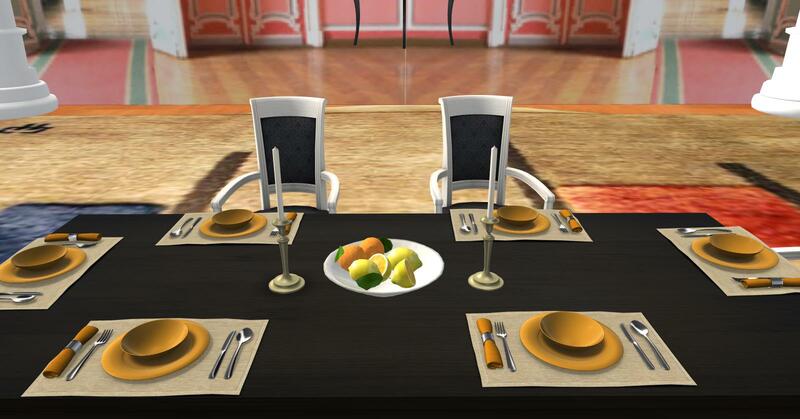 The chairs have a pose menu for eating, pass gravy, reach, so stuffed, and ladylike. The set comes with lots of extras…theres the lemon bowl center piece, classic candlesticks, place settings, a beautiful rug, and a side table. 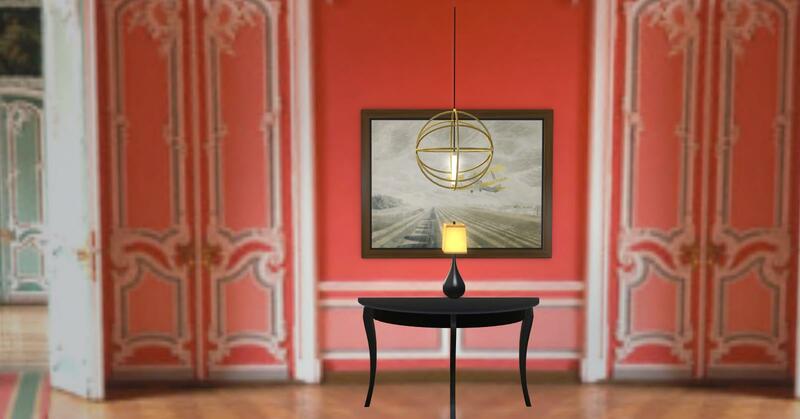 You will also received a lamp for the side table, a picture to hang overhead, a chandelier hanging light and a cabinet that opens. Not shown but included, curtains. 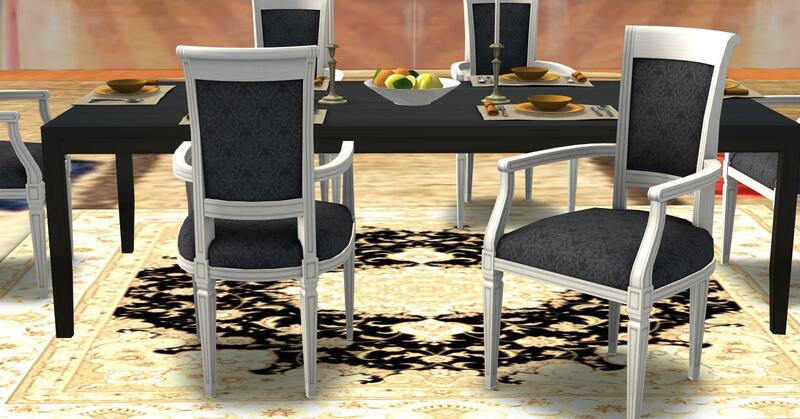 A wonderful set that will add elegance and charm to your home and make being around the table again, stylish! When you wear a Vero Modero gown….you become part of the stuff that legends are borne from! This gorgeous new release, Vero Modero Or, will make you stand heads above the rest. Just look at this amazing gown…..the color of liquid gold with a white brocade overlay on the front and back of the gown that extends from the strapless bodice down to the mid-thigh area. This gown molds itself to your curves as none other can! You will become a legend in his/her mind when you wear Or. I had the privilege and honor to appear in Fatal’s Sanshi Ad along with Kel! Fatal always makes her shoots fun and Kel she will crack you up! The Sanshi dress has such a wide range that it can be styled for, i like it a lot!!! Congratulations Fatal on such a awesome looking dress!